Donald Trump said on live TV that he owns the government shutdown and will take the blame. But later on more and more Americans sure enough blame him for the emerging harmful effects and that the safety is at stake. So he walks back and blames the Democrats. Trump wants a border wall alleging that it aims at protecting the American people. In a distant past this made sense. The Chinese built their Great Walls as early as the 7th century BC. In the Middle Ages walls were state of the art to protect castles and countries from intruders. 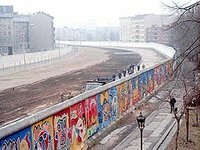 But the Berlin Wall already failed to prevent East Germans from fleeing. Today there are more advanced technologies than a wall. Even though Trump is low literate and lowly educated, it is unlikely that he really believes in a wall as a means of protection. More likely seems that he thinks that his even lower educated electoral base believes in the magic protection of a wall. He seems to consider it a great opportunity to divert attention from the Mueller probe into collusion with Russia and from his lack of political achievements. The only bill he was able to push through Congress is the tax bill. This is very important for him personally together with other rich people. It lowers their tax bill permanently, (and for his electoral base only until the next presidential election). But it carries a high price. Therefore, the Air Line Pilots Association International (ALPA) urges to end the shutdown of government agencies because it is adversely affecting the safety, security and efficiency of the national airspace system. Specifically, ALPA points to the dual roles of the Department of Transportation (DOT) and the Department of Homeland Security (DHS). When any of their responsibilities are placed on pause due to a shutdown there are safety, security and efficiency gaps that immediately emerge. The US Federal Aviation Administration (FAA) is a DOT agency. ALPA observes now that there are fewer FAA safety inspectors than are needed to ensure air traffic control is running at peak performance. Other areas affected by the shutdown include policing of drones. The US Transportation and Security Administration (TSA) is a DHS agency. Since the shutdown it issues press releases on a daily basis with North Korean-like statistics about wait times at security checkpoints. They invariably start with: "Overall, 99.9% of passengers waited less than 30 minutes." TSA officers must work without pay. At least 7.5% called out on Monday January 21, 2019, compared to 3.3% on the same Monday a year ago. But the TSA pretends that wait times are even shorter than prior to the shutdown. Related: "Trump puts flyers’ safety at risk for political gain"